Is It Ever Too Late to Learn to Touch Type? Basic typing is a skill that pretty much everyone in today’s world should possess. Most schools are teaching with computers, and there are certain schools that even allow children to use their personal laptops for homework and storing lessons. While today’s students are given the benefit of typing lessons within the classroom and typing practice through their schoolwork, this hasn’t always been the case. In the early days, typing was taught to high school girls as it was considered a skill they would need in order to work as a secretary, and the following decades allowed for typing to be taken as an elective course, leaving many adults today lacking in the much needed keyboarding skills that are required for various areas of employment. 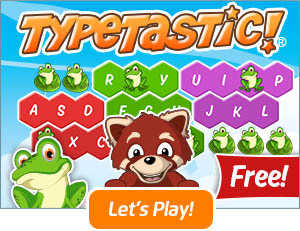 There are many benefits to early learning of basic typing skills. Children and teenagers are like sponges when it comes to absorbing information, and when taught typing in a classroom setting, it tends to be a skill that stays with them throughout their lives. Additionally, any student that attended grade school through high school in the 90′s and beyond will also have the additional experience of using a home computer or laptop quite frequently, allowing them to sharpen their skills by simply sending emails to their friends or completing their schoolwork. 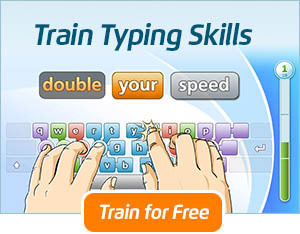 This is not to say that learning to type at a late age is hopeless, however, as there are many ways adults can learn to type as well as learn the basics of keyboarding online, both skills that are often a requirement when applying for office or administrative positions, as well as passing a wpm test. 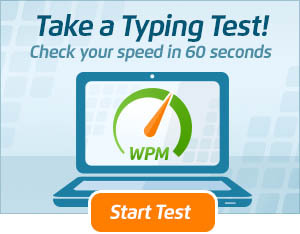 There are free typing lessons that can be taken online from the comfort of their home computers, and there are also typing speed courses where individuals interested in honing their typing skills, as well as increasing their speed, can take a similar version of the typing test wpm that is often used in job interviews in order to prepare for the actual test. For students that are true beginners, they may be interested in working one on one with a professional typing tutor who can teach them everything they need to know, starting with the basics. While the earlier an individual learns to type, the better chance they will have at completely absorbing the knowledge, it is never too late. Typing is a basic skill that is easy to learn, no matter what your age may be, and in our world today, it is an important skill to have. Aside from office jobs, businesses like restaurants, as well as grocery and retail stores use computers as part of their day to day operations, and most jobs require a basic knowledge of both computers and typing in order to offer a position to a prospective employee. By taking advantage of some of the free online typing courses or working with a typing tutor, people of all ages have the opportunity to learn the basics and move forward in today’s technological world.